9 Health & Fitness Questions You Want Answered By Dr. Isner! Dr. Matthew Isner has gained a lot of knowledge working with his clients, and these are the top 9 questions he wants you to know the answers to! Find out how to exercise with Type II Diabetes, how to help prevent osteoporosis...and much more! It doesn&apos;t matter when you workout because fat loss depends on daily calories burned. Weight training may help women deal with the onset of osteoporosis. Don&apos;t forget that you need to change your diet in order to get rid of belly fat. 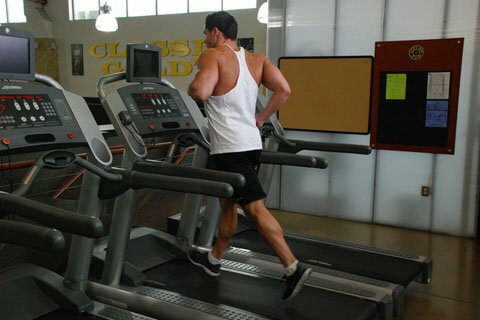 [ Question 1 ] Is morning or evening the best time to workout for weight loss? There have been many competing camps as to which time is the best to workout. Some will tell you that to lose weight, it is best to workout in the morning. You do not have the fuel from breakfast, so your body turns to the stored fat for energy. You then burn more fat, and this primes your body for an increased metabolism throughout the rest of the day. The other camp says you should workout later in the afternoon or evening because your muscles have been warmed up from the day, and you will have more energy to perform the exercise which will mean more of an effort and more energy expended. 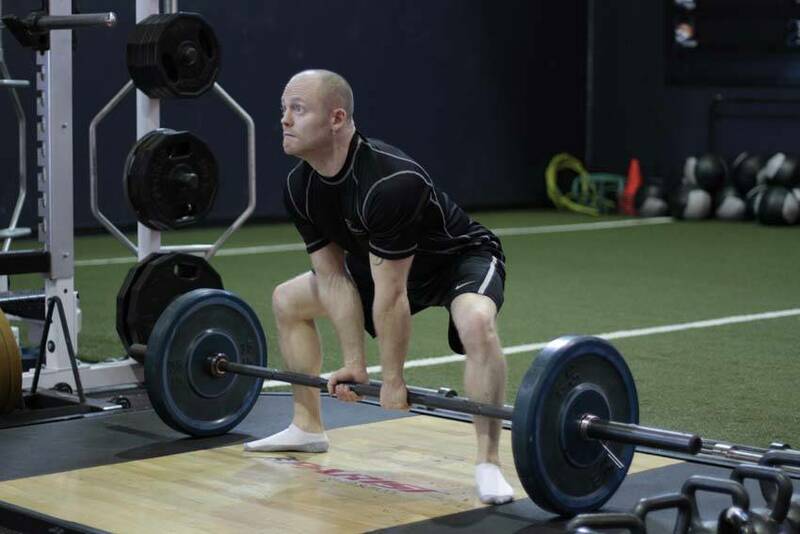 More weight on the bar or pushing yourself that extra mile will help you achieve your desired effect more quickly. I can see the logic behind both camps but I would like to offer a third option: It really doesn&apos;t matter! Weight loss is primarily based on your body&apos;s ability to burn more calories than you take in. It isn&apos;t as much a question of when you exercise, just that you do something every day so you expend more calories than you take in. Is More Important Than When You Choose To Workout. If you love to get up in the morning then that is the best time for you to workout. If you feel like you have better workouts in the afternoon or lunch then you are far more likely to do them. Trying to force yourself into a specific time will usually make you just find excuses not to do it. Consistency is the key for you to reach your goals. 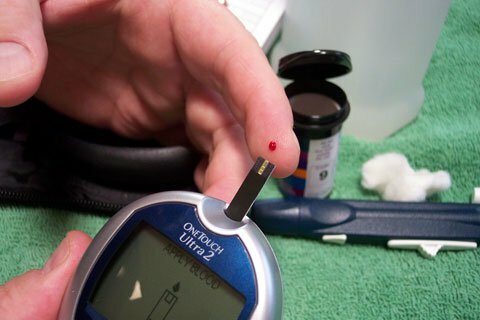 [ Question 2 ] How should I exercise if I have type II Diabetes? Having Type II Diabetes does not mean that you need to stop your workout plans or goals in fitness. It does mean that you will need to alter a few things and take more precautions than the normal person who might want to work out. 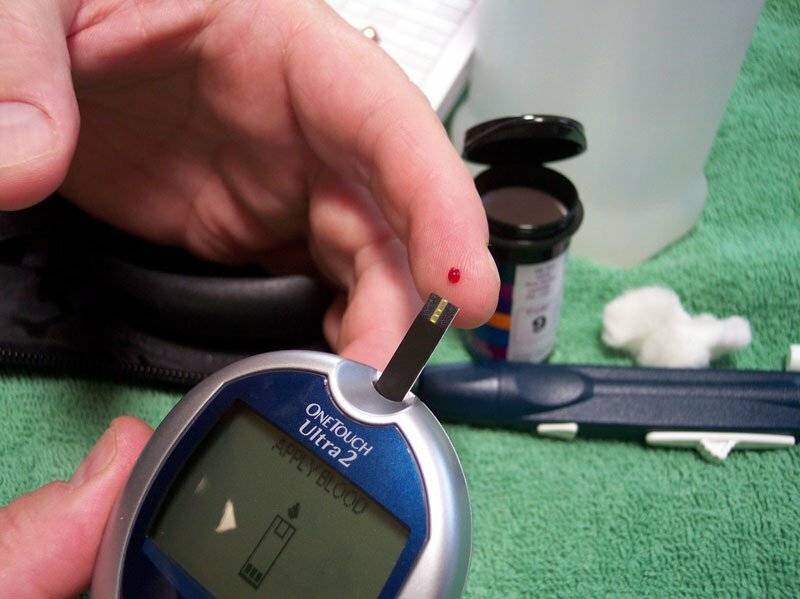 For the most part, Type II Diabetes can be controlled with a strict diet and exercise program. The nutrition plan will be beneficial not only in controlling your diabetes but also in weight reduction. I recommend to my patients that they build up to at least 30 minutes of moderate-intensity cardiovascular activity per day, or 20 minutes of vigorous-intensity cardiovascular activity, every day of the week. You can, and should, incorporate some strength and resistance type activities at least two days a week. Weight training maintains and increases muscle strength and endurance. Weight training can consist of something as simple as soup cans, or fill an empty milk container with water for added resistance. Always remember to check your blood glucose level before starting your exercise program for the day. You should also keep a close watch of blood pressure and make sure to keep your feet clean because uncontrolled blood glucose levels can lead to decreased sensations on the soles of your feet. If left unchecked, blisters can form without you being able to feel them, which will lead to further complications. Starting Your Exercise Program For The Day. As always, if you have any concerns, contact your health care provider before starting or changing an exercise program. 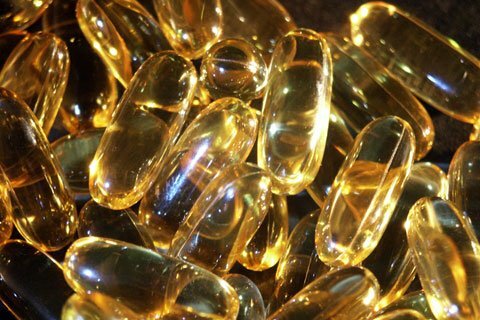 [ Question 3 ] There are so many brands of Omega 3 Fish Oil on the market. Is there any way to know which I should choose? Most of the product labels that you read are very misleading so here is the easiest way to figure out what is the best for you. 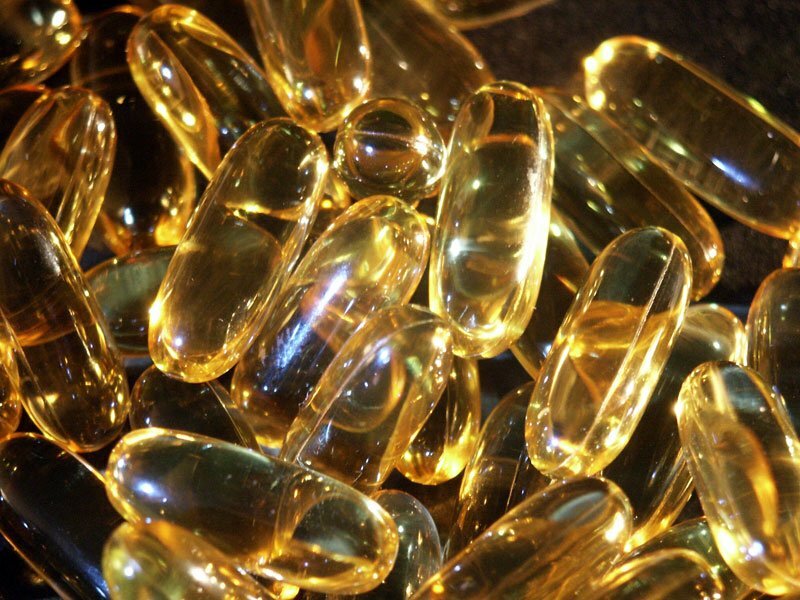 When looking at all of the different Fish Oil brands on the market today, forget the front of the label. Turn the bottle around and look at the ingredient listing on the back. Somewhere close to the bottom will be two lines: EPA and DHA. Add those two numbers together and find the bottle with the highest two number total, and that is the one you need to choose. Forget if the front says 1000 mg and the total EPA/DHA only adds up to 650 mg. The 650 mg are all you are getting per serving size. I have seen some as low as 420 mg so you would have to take quite a few just to get the 1-3 grams you should have during a day. As always, go do as much research as you can about the health topics that concern you but be careful about what you read on the internet. A safer bet is to just go talk to your health care provider. Some Extra Capsules To Get The Full Amount Of EPA And DHA. [ Question 4 ] As a female I am worried about osteoporosis. Can weight training help? Yes. Weight training helps in development of greater bone mass which has lasting effects on the lives of pre-menopausal, post-menopausal, and elderly women. In pre-menopausal women, developing greater peak bone mass as a young adult provides more time before the bones could begin to fracture. Menopause signifies the decrease of estrogen production and is associated with bone loss (osteoporosis). The most common interventions for preventing and treating osteoporosis can include calcium supplementation, estrogen replacement therapy (ERT), and exercise. There is evidence that long term ERT use prevents bone loss and fracture but there are numerous side effects and some potentially serious health risks. There are several studies on weight bearing exercises that have found regular physical activity helps increase bone density. After the age of 35, women tend to lose bone minerals which have been attributed to inactivity, decreased calcium intake and absorption. The best way for women to prevent osteoporosis is to start training early to try and obtain peak bone mass. The best situation would be to start a resistance-training regimen early and continue it throughout life. And Combat Osteoporosis Later In Life. [ Question 5 ] Does drinking caffeine have any effect on my workouts? Caffeine is one of the most highly used drugs in the world and is popular as an ergogenic aid for athletes. Although it has been removed from the International Olympic Committee banned substance list, caffeine consumption is still monitored in competitive athletes. A study was conducted, and published in the Journal of Strength and Conditioning Research that looked at the effects of caffeine on strength, muscular endurance and anaerobic activity. The research showed caffeine did not have an effect on lower-body strength, muscular endurance, anaerobic capabilities or upper body muscular endurance. The study did show that drinking a moderate dose of caffeine approximately 1 hour prior to activity resulted in an increase in upper-body strength in resistance-trained men. Have You Noticed A Performance Increase In Your Workouts When Using Caffeine? 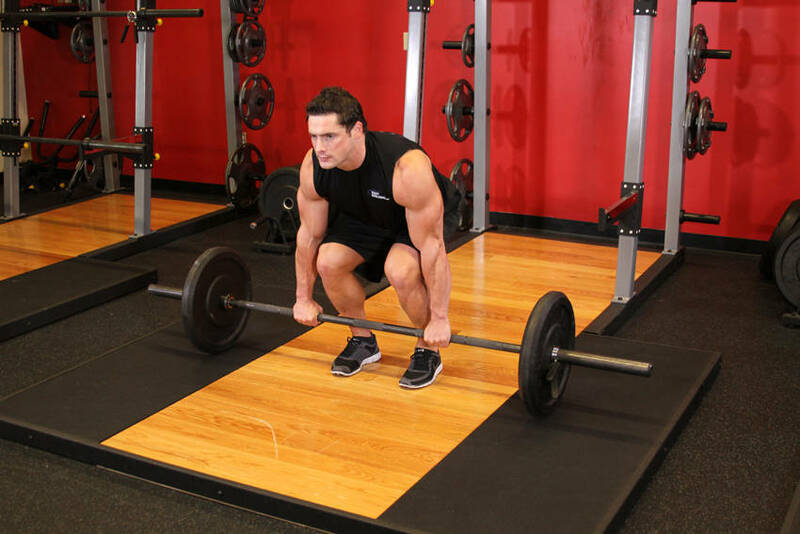 [ Question 6 ] What is the best way to deadlift: Sumo or Conventional? 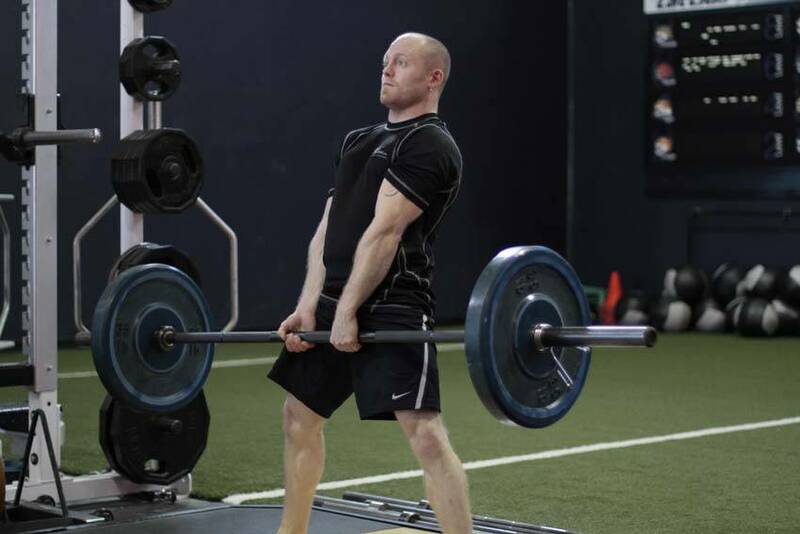 This has been debated back and forth with lifters but remember that I am a researched-based Chiropractor, so I will answer this from the facts as reported through research. My findings indicate that Sumo is better. 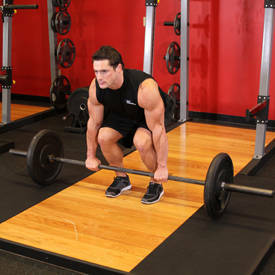 "Sumo style" is when the lifter stands with feet wide apart and grips the barbell with the arms passing between the legs. 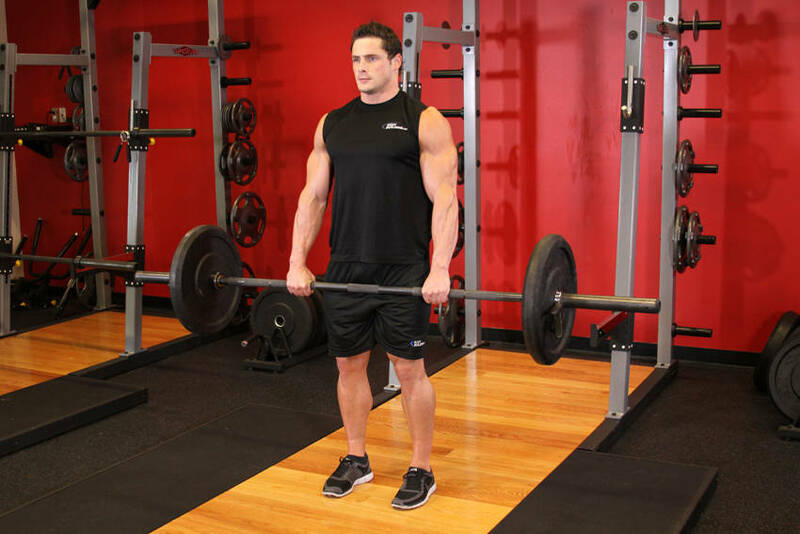 Click Here For A Video Demonstration Of Sumo Deadlift. 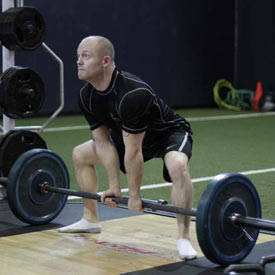 "Conventional style" has a much narrower stance with the arms passing outside the legs. 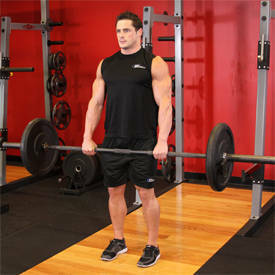 Click Here For A Video Demonstration Of Barbell Deadlift. Research shows that the Sumo lift maintains a more upright posture at liftoff, as indicated by a significantly reduced trunk angle. Bio-mechanically this offers a greater advantage because it requires less trunk extension to complete the lift. This also decreases the shear forces that occur between the individual spinal segments which can cause significant damage. As a Chiropractor this sold me on the lift, even though for years I preferred the conventional style because that was what I was used to using. Other benefits of the sumo style include a reduced distance the bar has to travel from liftoff to completion because of the wide foot placement. The most significant biomechanical advantage appears to be the more upright trunk posture at liftoff. 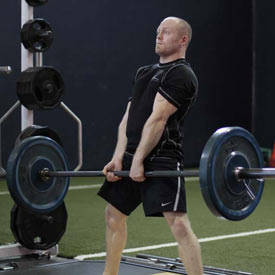 The lift enables the lifter to keep the bar closer to the body. [ Question 7 ] I am 50 yrs old, have lower back issues, and when I use all the abdominal machines, I end up with muscle spasms in my lower back. Is there anything that I can do to get rid of my bulging stomach? Without knowing your full medical history, the easiest way to get rid of excess fat that has accumulated around your stomach is to change your diet. There is always a layer of fat that is on top of your abdominal muscles. Depending on what you eat, it could be more or less. First I would say to stop all sugar intake for at least 4 weeks. You should also cut down on refined carbohydrates too. Your body does need carbohydrates to run, but we normally eat far too many during our normal day. With cutting out sugars and cutting back on over processed carbohydrates, your body will not have excess calories to store as fat and will have to burn the fat you already have for energy. It is a modified version of the Atkins diet or the Body Opus diet without the increase in fats. Try this for a few weeks and see if you notice a change in your stomach. Since machine exercises aggravate your low back I recommend doing a yoga style workout to increase the strength of your core muscles. Yoga should help build the strength without causing the muscle spasms. It Is Likely You Need To Strengthen Your Core Muscles. [ Question 8 ] Do Nasal Strips really help with my recovery from aerobic exercise? No. According to a study done by Illinois State University and published in the Journal of Strength and Conditioning Research, fourteen individuals were broken up into three groups: nasal strips, placebo nasal strip or no strip, and tested for the effects of utilizing the nasal strips on heart rate and oxygen consumption. The individuals were asked to first walk on a treadmill without incline, jog without incline, and then increase the speed and inclination until it was at 8 mph and 20% gradient. They were then instructed to sprint for as long as possible or maximum time of 70 seconds. Upon reaching fatigue, or 70 seconds, the individual was allowed to do a "cool down" all the while the data was being collected on the efficiency of the nasal strips. The results of this study concluded that nasal strips did not affect heart rate or oxygen consumption during recovery from anaerobic exercise. [ Question 9 ] Would applying a moist heat pack to my hamstrings increase flexibility alone? No it would not. I mentioned in previous writings that warming up the muscle is one of the single most important things you can do to prevent injury, but heating it up alone will not give you more flexibility. A study was conducted on the effects of moist heat on hamstring flexibility and muscle temperature. Base line measurements were taken of the individuals hamstrings prior to initiating the test. Moist heat packs (MHP) were then applied for 20 minutes and used to increase the muscle temperature of the hamstrings. (The MHP is one of the most commonly used heating modalities in athletic training and is typically applied for 10-20 minutes.) Results showed that flexibility increased within the hamstrings after a combination of 20 minutes of MHP application and 30 seconds of static stretching. But Heat Combined With Stretching Will. This study also measured how quickly the target muscle decreased in temperature once the moist hot pack was removed. The researchers noted that it took an average of 15 minutes for the muscle to return to the baseline measurements. This suggests that the moist heat pack should be applied for at least 20-25 minutes to gain an appreciable increase in muscle temperature. To increase flexibility, some form of stretching must be combined with use of the moist heat pack. The moist heat pack alone will not significantly change musculotendinous length. How To Exercise If You Have Type II Diabetes! Type II Diabetes is a serious disease, but it shouldn&apos;t stop you from staying active and doing cardio and resistance training. Learn more about how to exercise with Type II Diabetes below! Body Opus was the first real diet for people that weren&apos;t overweight. In fact, it is recommended that you not start this diet until you are under 15 percent body fat... Learn more. It is hard at times when you're living in a community that doesn't put an emphasis on fitness. I am writing these articles to give back and help!